Trounson Kauri Park contains the best remaining kauri dominant forest in New Zealand. Waipoua Forest, 10 km to the northwest and home to the largest kauri trees, tends towards mixed kauri/podocarp/broadleaf forest, with isolated, dense kauri groves. 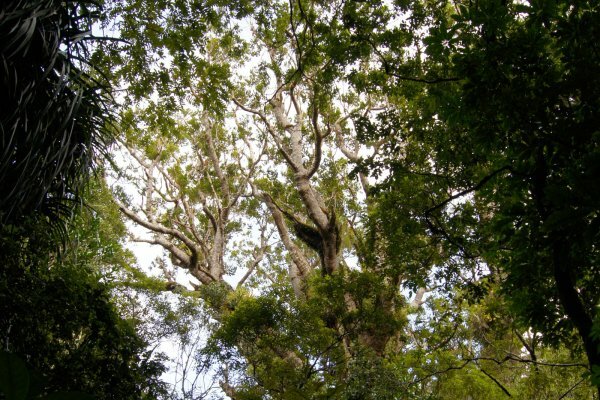 Tronsoun Kauri Park, in comparison, has two thirds of the original forest dominated by kauri. 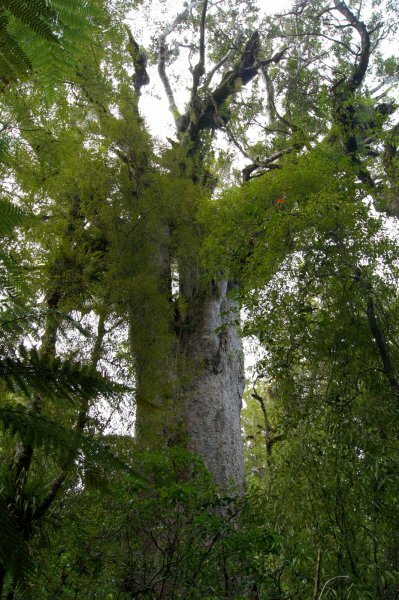 A study from 1999 measured that 85% of the basal area in the forest, and over 95% of the above ground biomass, is kauri in this area of the park. Of the 17 large trees in the sample plot examined for that study, the average DBH was 1.5 m (maximum 2.16 m), average stem height was 12 m (maximum 15.7), average total height 32 m (maximum 50.8 m, method unknown). The average stem volume was measured at 22 cubic metres. The average total wood volume, based on an extrapolation of wood volume measured from smaller trees, was 64 cubic metres. The largest tree had an estimated wood volume of 150 cubic metres (stem volume of 37 cubic metres). Originally only 3 ha was reserved by the Government in 1890, but James Trounson added a little over 21 ha several years later in order to preserve the kauri rich forest of the region. The park opened in 1921 after a further contribution of government land, eventually growing to a total of 586 ha, including 283 ha of native forest. The largest tree in the park has been marked out since around the time of the parks creation. Described by Sale as an "...old and dying tree about 1000 years old..." it appears to be surviving with little difficulty, and with no change in appearance from photographs dating from the 1920's (aside from no longer being used as an axe stand ). This tree should not be confused with another tree, named after James Trounson, that grew in nearby Kaihu Forest. 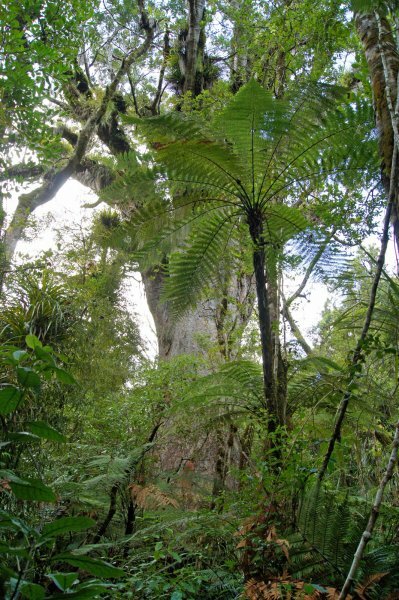 The "Trounson Kauri", around 15 to 16 m in girth and about the same length to the first branch was one of the largest ever photographed (one photograph is seen on page 198 of Sale's book, and is reproduced here). It burnt down in a forest fire in 1907. The girth was not directly measured to avoid damage to the roots of the tree and to minimise risk of PTA infection. The value used is that derived from the 3.5 m DBH stated on an information board in front of the tree. The centre girth was stated as 35 feet 4 inches in Reed (1964), or equivalent to a diameter of 3.43 m, 3.8 m above ground. "An old and dying tree" in 1978 is still "an old and dying tree" in 2016, or the typical appearance of large old kauri! Short, 7.6 m bole to first branch. 25 Apr 2016 Smillie, M.J.
Close to the middle of the loop track in the north east of the park, somewhat hidden by regrowth. To avoid damage to the delicate feeding roots, and to minimise risk of PTA, stay on the track at all times. All footwear and equipment should be clean and disinfected before and after walking the track.